Shower Enclosures Northwest Shower Door is the Northwest region’s clear choice for heavy glass, frameless shower doors and enclosures. Located in Seattle, we work with Builders, Architects, Designers and Homeowners to create and install exquisite custom shower enclosures. Design | Fabricate | Install Our goal is to design, fabricate and install the finest shower enclosures available anywhere. Whether you are looking for framed, frameless, hinged, pivot, neo-angle, bi-pass or distinctive glass options, NWSD will meticulously craft an exquisite enclosure to fit your application. Our Philosophy NWSD has dedicated and quality oriented staff who are guided by integrity, professionalism and the desire to provide the best customer service in the business. We will stand behind our products and service and can be depended upon for providing unsurpassed service. Since 1978 D.K. Boos Glass Inc. has been the only full service glass shop in Thurston County offering Residential, Commercial and Auto glass services. We service Olympia and Thurston County, Tacoma and the greater portion of Pierce County as well as Shelton, Aberdeen and Rochester areas. Certain services of ours have an even larger service area – please contact us to learn more. 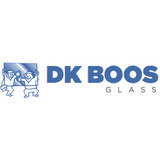 DK Boos Glass offers an array of products and services: residential and commercial windows, windshield replacement & auto glass repair, shower doors, storm doors, entry doors, window screens, decorative glass, mirrors, dog doors, plexiglass, polycarbonate, tempered glass and more. All of our work is performed by our employees. We do not subcontract out our labor. We have the best service, warranty and most knowledgeable staff in the industry. Give us a call with your glass and window needs or stop by our Lacey Showroom where quality products and your satisfaction is our top priority. Here at Affordable Quality Glass, use the highest quality products in the industry. We take pride in our customer service and continually make it our top priority. Loyalty and integrity is at the basis of what we do and that is something that will be visible in our service and finished product. We wanted to provide frameless shower doors for home owners in the Seattle area in a professional and timely manner at the highest quality and the best price. AQ Glass has been installing frameless shower doors in the greater Seattle area for many years. Those who come in contact with AQ Glass can expect excellent customer service and enhancement in their knowledge about frameless shower doors. We know that your initial contact with AQ Glass will not only address your frameless shower door needs but also give you the satisfaction in knowing that you have finally found someone that can take care of all your frameless shower door needs for years to come. When on the search for a custom glass shower enclosure there are many options, why settle for less when we have made glass design solutions our specialty. From our convenient showroom we can help you decide from the industry’s leading products to find exactly what you’re looking for. One of our friendly sales team members will help guide your through the process and provide you with a free estimate to get you started. With a quick turnaround and professional install we hope to help in the completion of your project. We stand by our products and service with the customer experience always in mind. Call us today to schedule an appointment. GlassMan Inc. has proudly been providing residential and commercial flat glass services throughout the Northwest Washington area since 1990. Our company specializes in residential and commercial glass solutions. We offer products such as shower doors, windows and doors, glass table tops, mirrors and glass shelves. Our estimators, project managers, and professional glaziers have many years of experience in the installation and maintenance of all glass related products. Welcome to NW Custom Glass, LLC; the Glass & Window Experts that are the premier choice of homeowners in Greater Kitsap and Pierce Counties homeowners for quality glass design, installation, replacement and repair services! 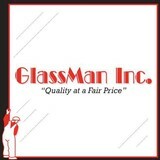 We are the premier locally owned and operated, fully licensed and insured Glass Professionals! We can handle all of your glass needs in cities such as Port Orchard, Bremerton, Tacoma and surrounding. We specialize in Residential Glass Projects including Custom Shower Enclosures, New Construction Window Installation, Window Repair and Replacement, and Custom Glass jobs of any size and scope. At NW Custom Glass, LLC, we strive to provide the highest level of customer service at affordable rates and always put the customer first with our fast and courteous service. Call us today to discuss your next project. We will always provide you with a free estimate and professional advice from the experts in glass! Olympic Glass has been a proud member of the Bainbridge Island business community since 1969. We have been supplying builders and home owners with all of their window and glass needs for over 40 years. 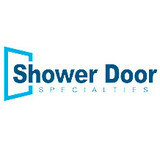 We specialize in shower doors, mirrors, and energy efficient window glass. We supply contractors and homeowner with new window glass for their remodel or new construction needs. We are a full service glass shop serving Kitsap and southern Jefferson county. We offer free home estimates. Call us today! Seattle Glass Pro has been in the glass industry for over 10 years. We take pride in providing professional glass and mirror services for commercial, residential. From repairs and replacements to installations, our well-experienced glass installers are available to provide the most responsible and reliable service at a competitive price. Our mission is to exceed our customer’s expectation in a safe, courteous, efficient and professional manner utilizing teamwork, innovation and integrity. We Make it Personal Nothing makes your bath more a personal haven, than being able to select from an assortment of styles, options and accessories that bring your vision to life. There’s no need to compromise because if you don’t see the bathroom of your dreams in our catalog, the experts at Seattle glass pro will build it for you. Customer Care Every shower enclosure begins with customer-focused innovation that spawns new product development. And every shower enclosure ends with a lifetime warranty – the best product warranty in the industry Craftsmanship Seattle glass pro shower enclosures are precision engineered with the highest quality materials and finishes to maximize performance and durability, to ensure your enclosure is a thing of beauty for the life of the product. Since 1978, we have been the company to call for all of your glass repair and replacement needs for over 33 years. Over the years customers have asked what the D and K stand for in our name, D.K. Boos Glass, the answer is Dennis and Kathy. They both had a very hands on approach to the business, Dennis in the field and Kathy in the office. Things have changed a little over the years; their son and his wife now run the business. Their hands on approach have not changed. We pride ourselves on excellent customer service, a tradition that began with Dennis and Kathy and continues on to this day. Our knowledgeable staff can help you with all these types of glass products & services and more. All of our professional and experienced auto glass, residential, and commercial installers are full-time employees at D.K. Boos Glass. Please feel free to call us with any questions you may have! Sunrise Glass Inc. of Kent, Wa is a full service company for window and glass replacement. With over 20 years of experience we provide residential and commercial sales, service and installation at AFFORDABLE PRICES to Pierce and King County. We also have insulated glass, glass replacement, replacement of fogged glass, custom mirrors and shower enclosures, tabletops, skylights, glass railing systems, and screens for windows and doors. We offer a lifetime warranty on our windows. Give us a call today! When you are in need of new windows or glass, call the experts at Pacific Glass Sales and Service. We offer a wide variety of window and glass options for both residential and commercial properties. Our team of qualified professionals will help you select the perfect windows for your home and install them using their superior knowledge and craftsmanship. We also provide service and repair for your windows and glass products, with our 24 hour emergency service ensuring that no matter the time, you can receive service that meets the highest standards. What can a local Shelton glass company help me with? If it’s a major home glass repair or replacement, the Shelton glass company should work directly with your insurance company to help bring down costs for you, if applicable. Find Shelton glass companies on Houzz. Narrow your search in the Professionals section of the website to local glass, mirror and shower door services in Shelton, WA and read reviews and ratings to find one that fits your needs.